← Do Sports Belong At Geek Conventions? Today’s episode is about languages, acting styles, and what gets lost in translation. There’s a correction to make too. At one point, I said “Abenobashi Mahou Shotengai” (a.k.a. “Magical Shopping Arcade Abenobashi”) was set in Shikoku. 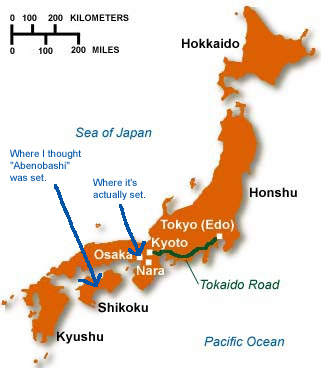 It’s actually set in Osaka. Posted on March 25, 2013 by Tamara	• This entry was posted in East meets West, Language, Voice Acting and tagged adaptation, anime, subs vs dubs, translation, voice acting. Bookmark the permalink. I know a lot of people who have very strong opinions on this, so I think it’s a great topic to go over! =) I agree that there is a lot of culture lost with dubs, and I would rather do the extra work to appreciate the characters the way they were intended.